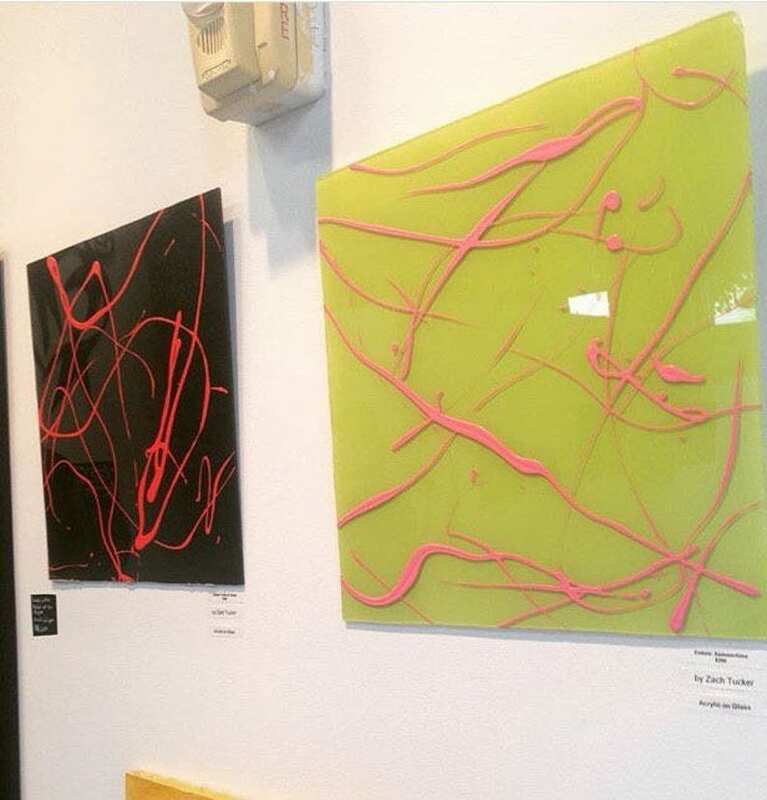 This experimental art series is acrylic on glass. Various color ways will be added. Great quality & arrived quickly! Seller was very quick to respond to questions as well.